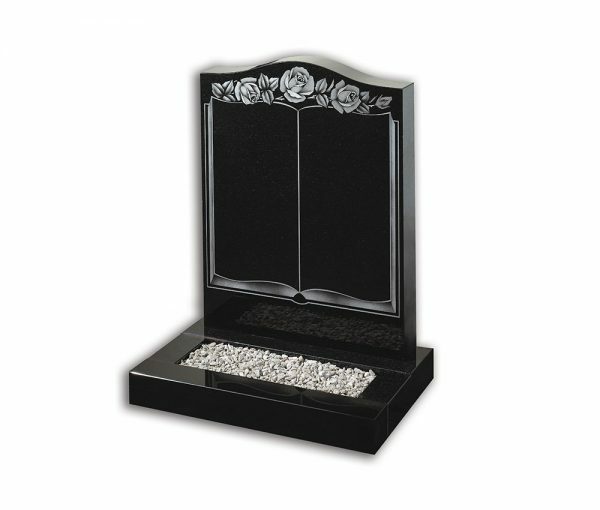 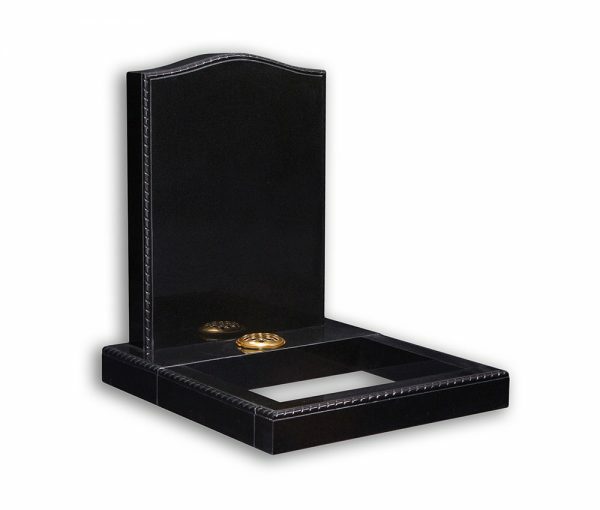 Scroll style memorial with hand carved mirrored angels and kerb set. 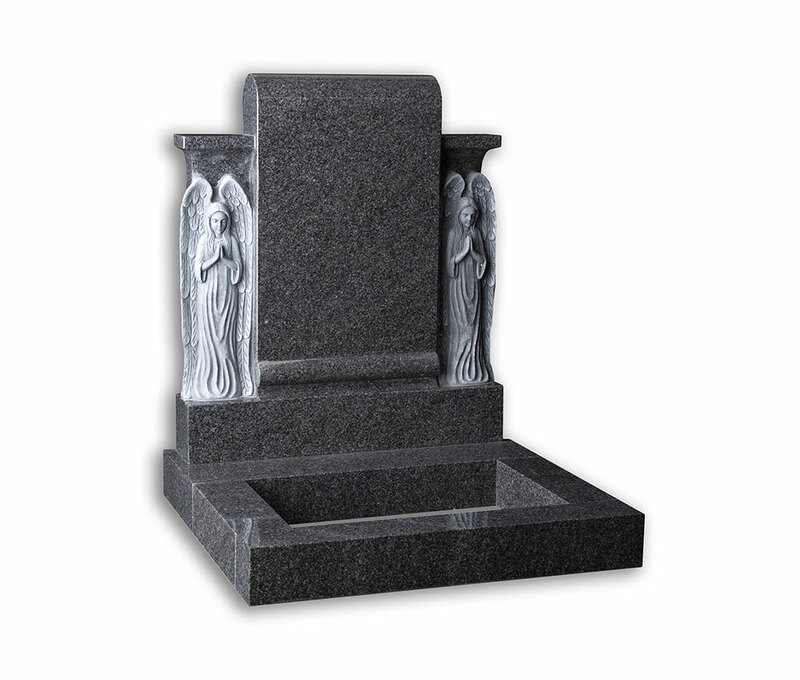 Shown in polished flint grey granite. 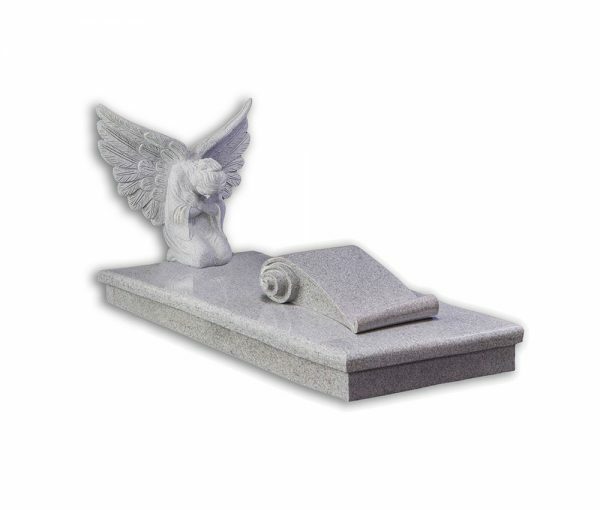 Please Note: Alterations to the size, shape or material of any memorial can be made and artwork or ornamentation added or removed as required.